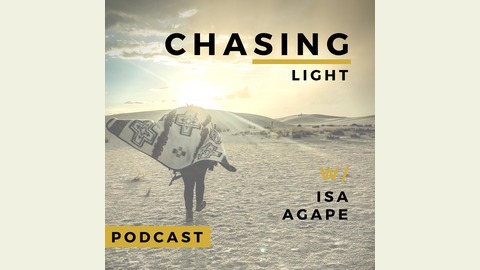 Chasing Light is a weekly podcast hosted by singer-songwriter, photographer, and travel enthusiast, Isa Agape. 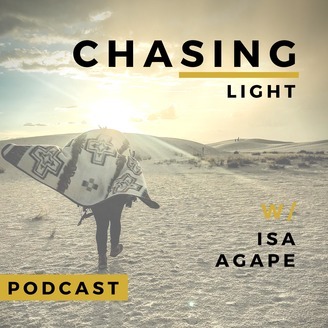 Go behind the scenes as Isa travels the world and enlists some of her friends, new and old, to chime in on subjects such as love and relationships, spirituality, the arts, travel, photography and whatever else she wants to talk about! In this episode, I sit-down with Tom McGrady who has spent most of his life enjoying the mountains and backpacking. His early years were with Boy Scout trips that he would take. Tom hiked the PCT between 1978-1984. He did it over a 6 year period. He’s also hiked the John Muir Trail twice. He’s gone on 3 bike trips from Canada down to San Francisco in his younger years 3 times. We talk camping, bears, backpacking, and more!! !